Today we’re featuring an article from Carl Robertson. Carl is the Founder of New Zealand based Plankton a specialist Digital Agency for small businesses. Connect with Carl on Facebook – here. 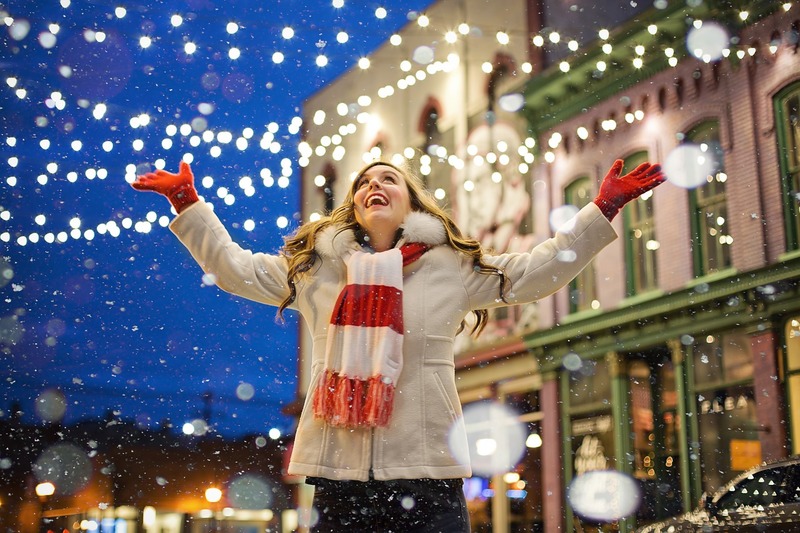 Holiday marketing season is approaching, and you’re out of ideas? You’re not alone! Thanksgiving, Black Friday, Cyber Monday and then the holidays make the months of November and December the peak of the shopping season. According to the data from https://websitesetup.org/holiday-ecommerce-marketing-statistics/ and https://nrf.com/news/holiday-retail-sales-increased-4-percent-2016, shoppers are most active on the 22nd and 23rd of December, and the e-commerce sales grow around 16 percent each year. Considering all these facts, you’ll need to stand out and get your social media feeds in perfect shape for the holiday season. Use some of these ideas, and your Social Media profiles will boost your sales for sure! Take your time and think of something which will boost the traffic on your social networks and create an eye-catching hashtag! Create a branded hashtag that’s going to be around for a while. Start a hashtag campaign and use this year’s holiday season to start making a name for yourself on the market. We all like discounts, don’t we? Make your followers feel special by rewarding their loyalty. Provide them with exclusive coupons and discounts. Share an exclusive coupon on Instagram, Twitter, and Snapchat and surprise your customers. 10 or 15 percent discount code will probably result in a lot! Round up the most popular posts of 2017 so far and create a collage. Collages are full of visual elements and they can generate a lot of traffic. Keep in mind that satisfied customers bring new customers. You can even choose some of your earlier posts to show how much the company has grown since its foundation. Visual elements are maybe an essential tool for running your company’s social media marketing. Use strong visual elements such as animated GIFs, memes and colorful images to draw attention. Creating relatable ads is one of the first rules in marketing. Use videos and other visual elements in real-life situations to make it easier for the customers to picture themselves using your products. 2017 has been a year of natural disasters – floods, massive shootings, hurricanes) Show the world that you care about the society by donating and supporting a cause. Take your time to plan your adverts. Make a strategic plan on how much of your feed should be ad-related posts. Twitter recommends that advertisement posts should take up only 20% of your feed. The rest should be focused on boosting interaction with your followers. You can’t talk about holiday marketing without mentioning Coca-Cola and their holiday ads. The advertisement department of Coca-Cola earns their money fair and square. The commercials with caravans, polar bears, and Santa have become a tradition almost as the holiday itself. At first glance, you don’t even realize that it’s a commercial. It’s presented as a message of love, peace and unity all gathered around a delicious beverage. And that’s what makes the Coca-Cola ads the perfect example of a holiday marketing campaign. In a turbulent year of division and disharmony, such as 2016, Amazon Prime has decided to use the situation and create an ad which goes beyond religious disputes. Two old friends, an Imam and a Priest got together and solved a mutual problem. Even though Amazon claims that this ad goes beyond selling a product, the campaign is obvious. Check out this video to see how efficient a simple ad can be. You may remember a German grocery brand Edeka publishing a fantastic Christmas ad last year. The video was a lonely grandfather who just wanted to get his family together. This ad was only a Kickstarter for a campaign called #HeimKommen or homecoming. This year, Edeka’s message is the same – spending quality times with your loved ones. However, a different campaign calls for a different hashtag. The campaign can already be labeled a successful one since it has more than 10 million views on YouTube so far. It’s almost time for the holiday season, so hurry up! Make sure your campaigns last long enough to be productive and good luck developing your business!